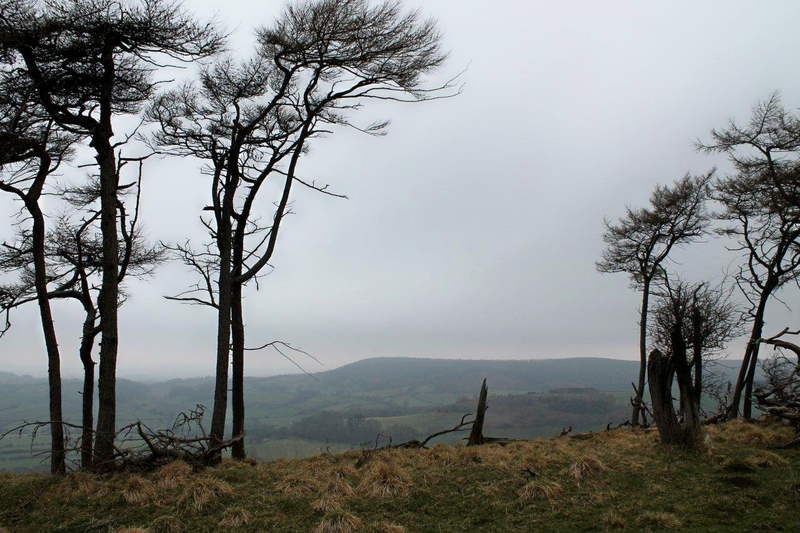 SUTTON Bank inhabits a niche midway between fact and legend in the collective consciousness of travellers. People who have never visited the place have usually heard of it. Like Scotch Corner, Watford Gap, the Devil’s Elbow, Ditchling Beacon and Electric Brae it has been elevated above its station by mythology and notoriety . 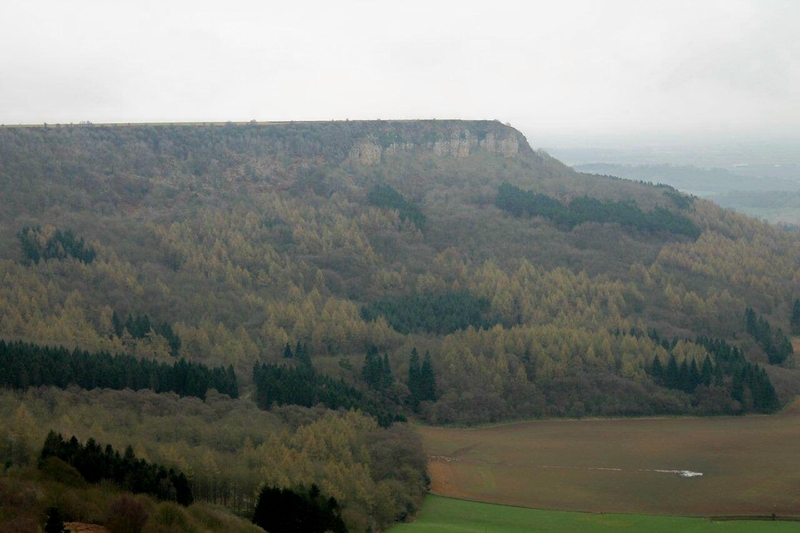 . .
Sutton Bank is a limestone escarpment that rises from the vales of Mowbray and York, a product of massive geological forces and glacial erosion. Its notoriety arises from the A170, a road that meanders pleasantly from Thirsk, ricochets up the bank in a series of 25 per cent gradients and hairpin bends, then meanders effortlessly off towards Scarborough. For unwary travellers, it’s a sudden and unexpected jolt to the nervous system. In bad weather it’s a nightmare. In snow it’s impassable. And if you have a car like mine that jumps out of second gear when the revs are high, it’s a pain in the backside and makes your hands sweaty. At the summit is a North York Moors visitor centre which I cannot comment on because I’ve never been inside. I expect it is similar to other visitor centres. Unsurprisingly, the parking fees are extortionate for those planning a walk that’s going to last several hours. But there are places beyond the yellow line zone where bolshie buggers can park a car – albeit at an angle that might drain the oil from the engine – that don’t cost a penny. And being a bolshie bugger, I’ve found one. 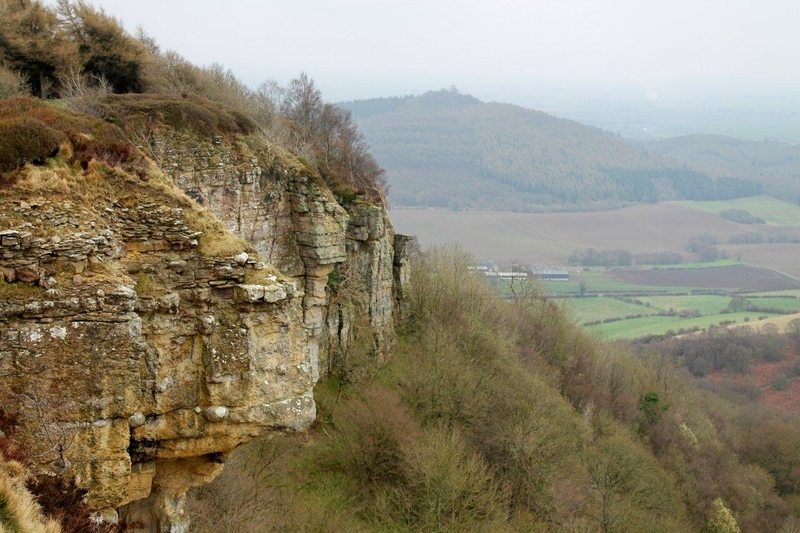 Sutton Bank lies near the starting point of the Cleveland Way long-distance footpath and is one of the early highlights on a route where highlights are abundant. 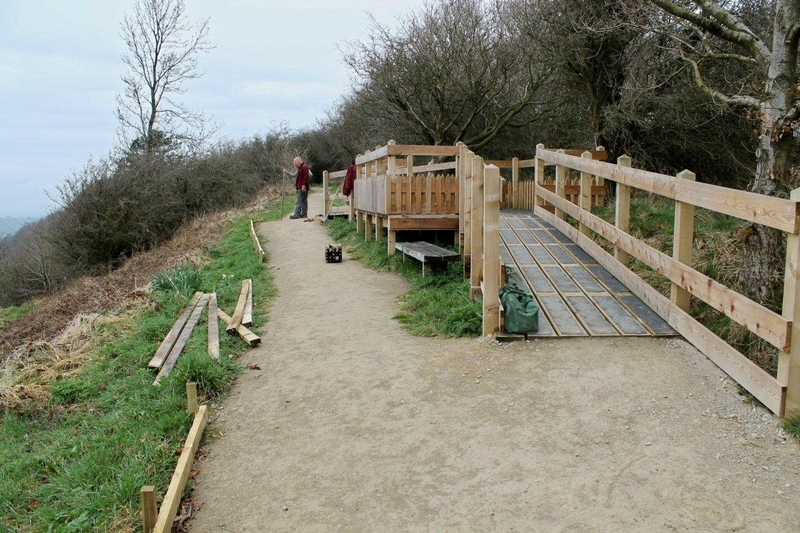 From the visitor centre, the path follows the edge of the escarpment and quite soon downgrades itself from one of those wheelchair-friendly compacted surfaces into something more at ease with the natural environment. Spirits rise as the sound of traffic fades. This is a place to stride out in style with the wind in your hair. At the foot of the vertical walls of White Mare Crag lies the dark and brooding Gormire Lake – a body of water formed by glacial action and one of the few natural lakes in Yorkshire. According to legend, the lake is bottomless. Apparently, a witch who was fleeing a band of god-fearing and upstanding local folk leapt from the crag into the lake, was caught in an underwater current and emerged from a well more than nine miles away. If that doesn’t impress you, let me tell you about the featherless goose. Back in the days when life was simpler and the pace more leisurely, a famer’s goose was paddling on the lake. Like the witch, it was dragged under by merciless currents and emerged 12 miles away in a lake at Kirkbymoorside completely featherless. How those Yorkshire folk knew it was the same goose is a mystery we shall not investigate too deeply. I prefer to believe its heartbroken owner was visiting a lady friend in Kirkbymoorside to cheer himself up a bit, saw the featherless goose emerge from the lake, made eye contact, recognised the bird immediately, gathered it in his arms and rode back to his farm near Sutton Bank where they both lived happily ever after. But I’m an incurable romantic. 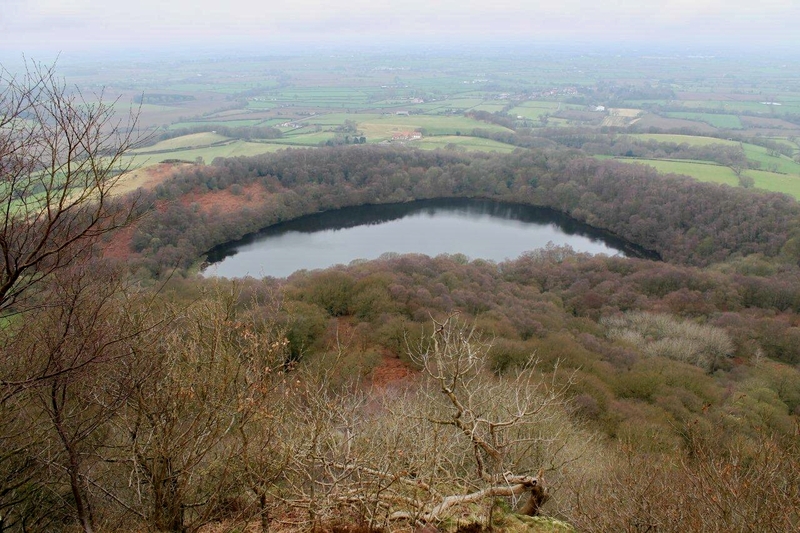 Incidentally, if you enter Gormire Lake on Google and do a search you turn up several websites dedicated to “wild swimming”. Eh? Wild swimming in a bottomless lake with a reputation like that? No thanks. Might get dragged under and emerge in an expensive spa in Harrogate surrounded by elderly women with blue rinses. Let’s move on sharply. I’m on a tight schedule today because I’ve got an allotment society meeting tonight, and as secretary I’m expected to be there early with my face scrubbed and hair brushed. 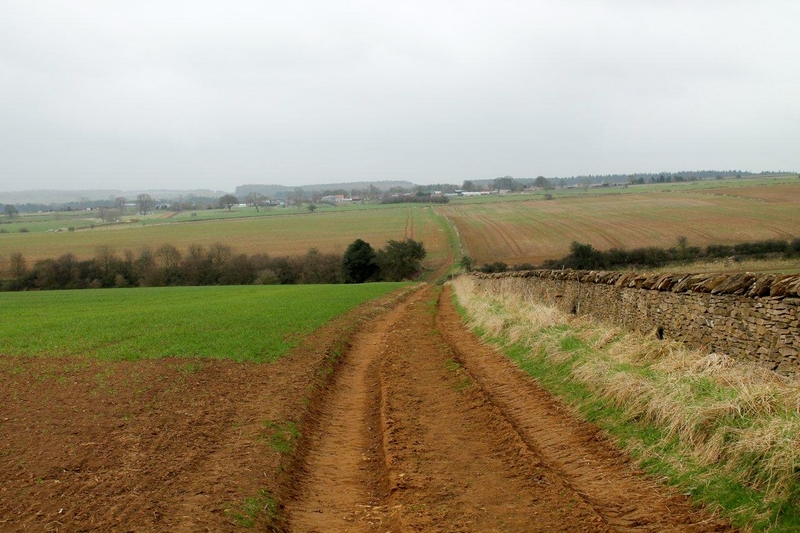 So I’m following a ten-mile route that will take me along the escarpment to the charmingly-named Sneck Yate Bank, then down a narrow road to Murton Grange, south across fields to the not-so-charmingly-named Cold Kirby, leaving a short step back to the car. The walk is pretty straightforward and very enjoyable. I see no one all day after leaving the visitor centre except a farmer spreading fertiliser and another pounding the ground with a heavy pinch-bar, making holes for fence posts. Looks like hard work, that. Near Murton Grange I spy a sign at the side of the road saying “Danger. Keep away”. 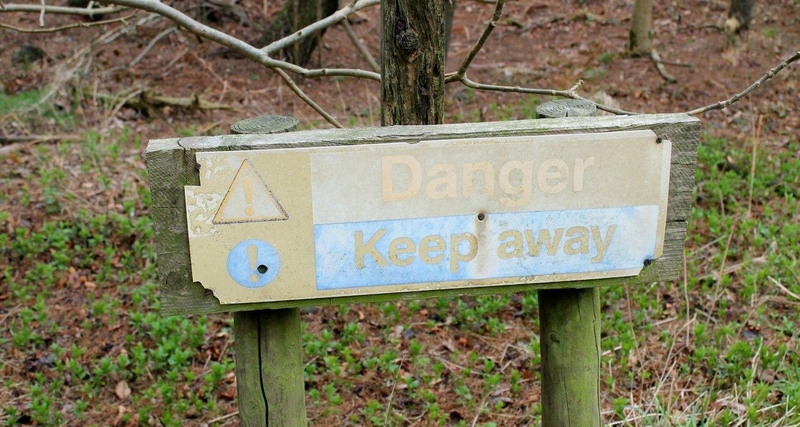 Curiosity stirred, I wander into the woods for a closer inspection and nearly fall off the top of Peak Scar. That’s a lesson learned. In a wooded defile, sheltered from the cold spring wind, I have a quick kip on a bench but wake up fifteen minutes later when large drops of rain begin to fall. My doctor said it would rain today. Always trust your doctor. By the time I reach Cold Kirby – a name bestowed deservedly, if you ask me – the rain is heavy and the wind bitter. Under more pleasant circumstances the village would be worthy of a couple of photographs to enhance this blog post. But because the main street has been dug up by roadworkers for its entire length and is festooned with those red and white plastic crash barriers, I leave the camera in its case. This is pleasant walking country. 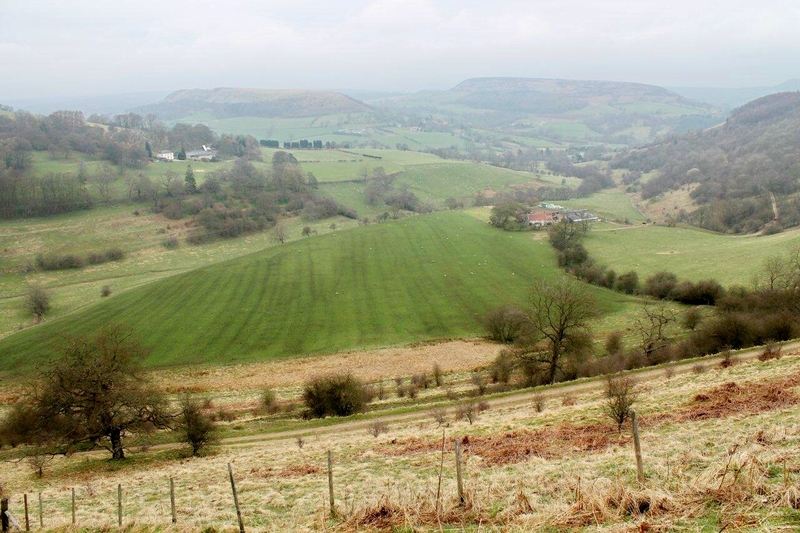 There are no mountains to climb, but fine views across an open land that is soaked in history – from the Ice Age to the Bronze Age, to the building of the great monastic houses of Rievaulx and Byland, and their eventual destruction. There is a sense of history in the footpaths, that they link ancient places and have been walked by ancient feet. There is a sense of permanence and tradition. I like that. Could have had better weather, though. Never mind. The wife’s cooking goose for dinner. 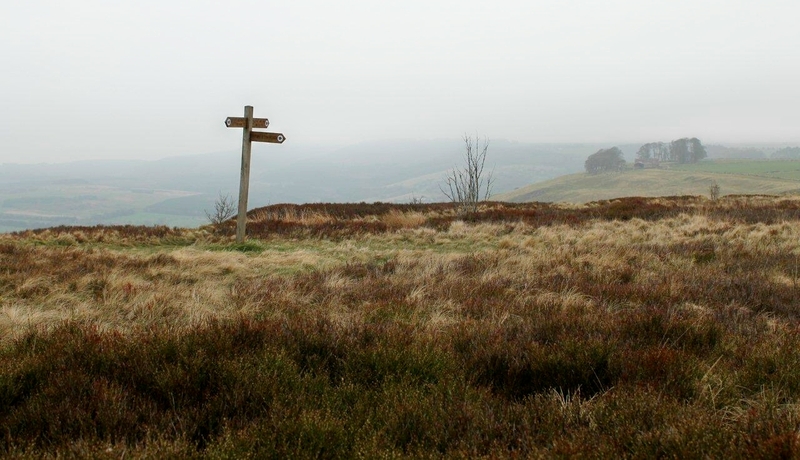 This entry was posted in Allotments, Bronze Age, Cleveland Way, Environment, Footpaths, Geology, Hiking, History, Iron Age, Legends, Walking and tagged North York Moors, outdoors, WPLongform. Bookmark the permalink. 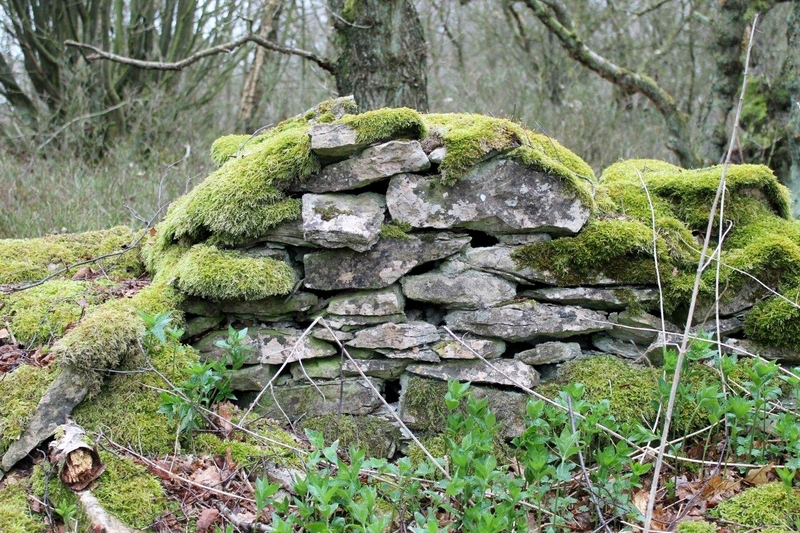 I love all your photos, but I’m particularly fond of the one of the stone wall. Thanks! Hi Jeanne. I took the picture of the wall because it had just been repaired by traditional methods but using new stone. The contrast between the new and the old was quite remarkable. I like to see old skills carried on into the future. Alen, this area I think is under rated for walking. 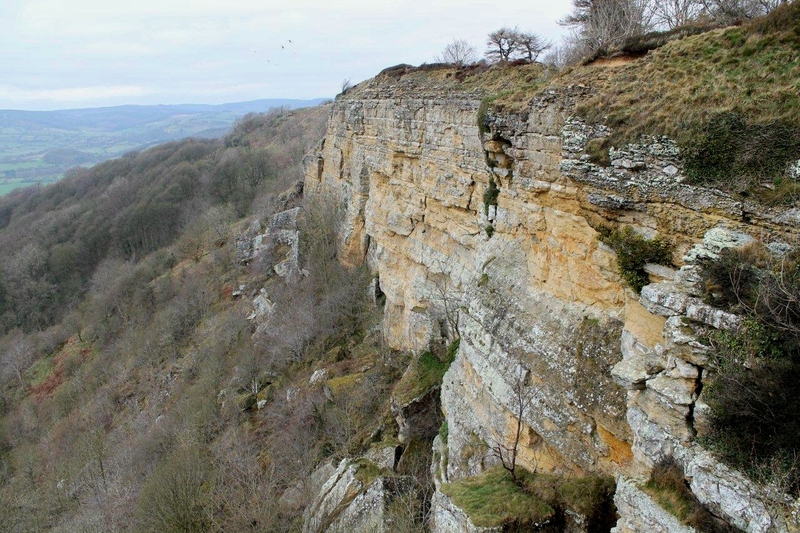 I have been on a few short walks and a backpack in the area and I think it is as good as any in the Peak District, but quieter. Sutton Bank is always on our local news during the winter with tales of vehicles get stuck. Given how steep it is I am always amazed how many people try and get up there in the “white stuff”. Hi Mark. It’s a great area for walking. 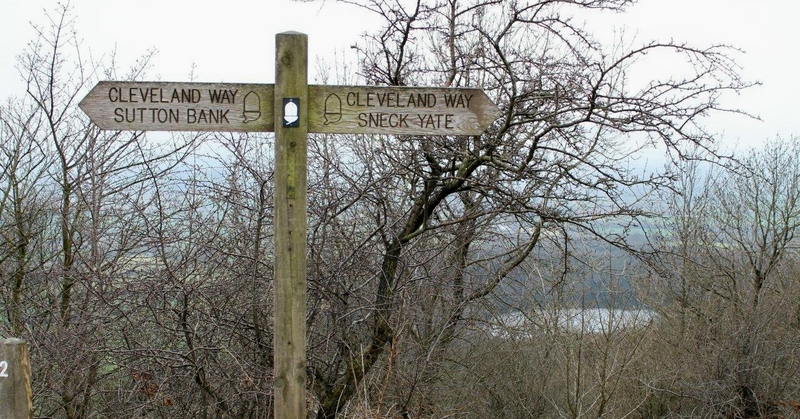 I did the Cleveland Way about ten years ago and it really is a gem of a long-distance walk. And it’s so quiet too, and full of interesting features. I should really dig my tent out and do a couple of long hikes in the area. Hi Richard. I was a latecomer to Sutton Bank, not driving up it until about 1996 when it suddenly rose up in front of me out of nowhere. 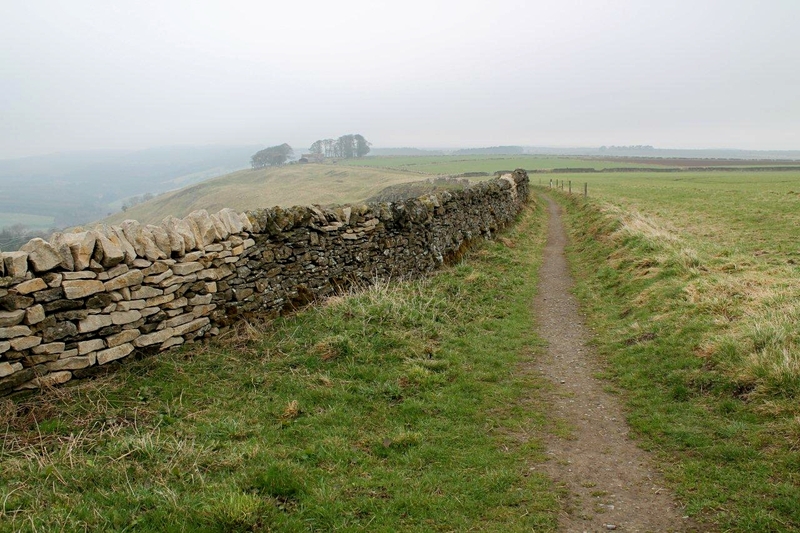 The Cleveland Way is a mixture of limestone ridges, open moorland, impressive sea cliffs and gentle walking. 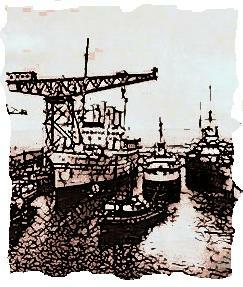 Add to that a scattering of abbeys and abandoned industries and it all adds up to a great experience. I’m not to give advice says she who walks with glue beneath her boots:-) but I think I speak for all your readers when I suggest that you swap the order and get a quick kip on a bench before you ignore the warning signs. We’d love to keep you a little longer. Lovely post as usual, Alen. Ha ha. I had never heard of Peak Scar before I blundered through the trees and found myself right at the top of it, Hanna. I tried to take some pictures of the drop below but there were too many trees shrouding the view. 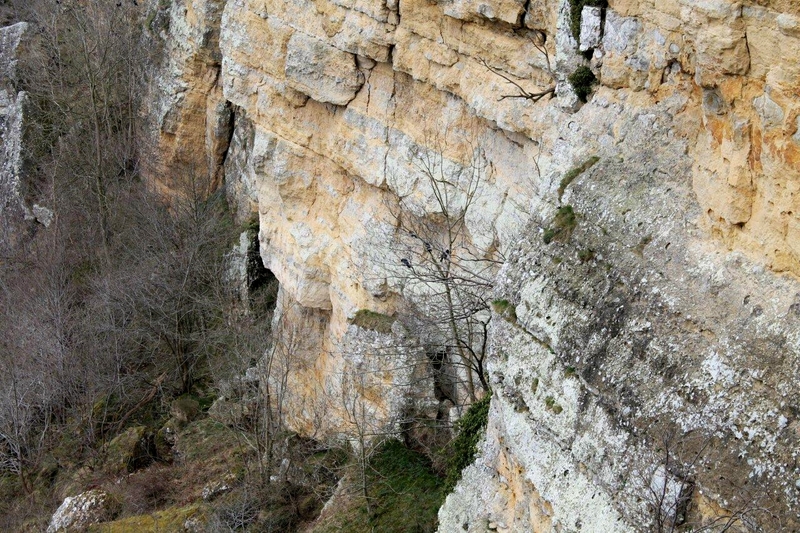 Apparently, it’s a favourite place for climbers, and I’m not into hanging on by my fingertips with nothing beneath me. I’d much rather just have a kip on a bench. Hi Jo. I would imagine the rocks are full of fossils because they are limestone, but I’m no expert on that. I have, in the past, had the occasional dip in Lakeland tarns and Highland lochs – but that lake looks extremely uninviting. I won’t be venturing any nearer to it. 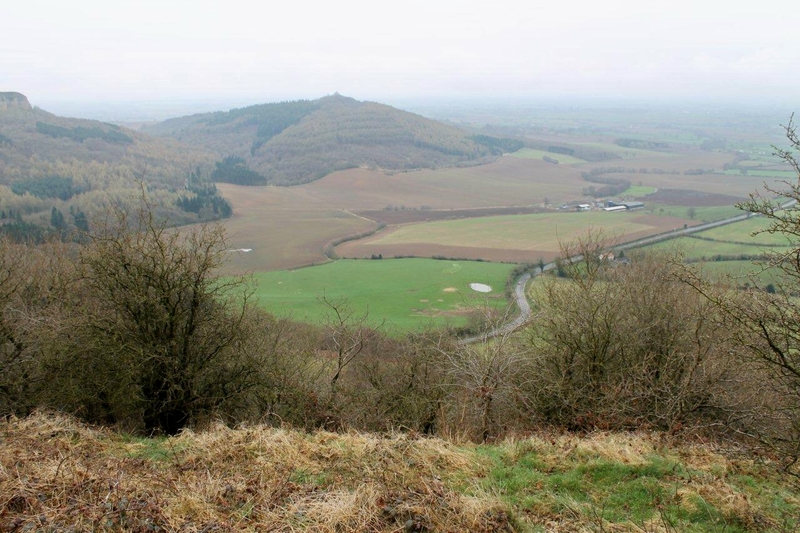 I used to drive up Sutton Bank every Sat and Sun, cos I used to work at the Gliding Club. It can be very very scary if you’ve just burnt your clutch out. I love the area, and the views. If I remember rightly there’s a fairy parlour or cave in the cliff, and of course there should be, to go with the witch and the featherless goose. Hi Tracey. I bet it was fun working at the gliding club. 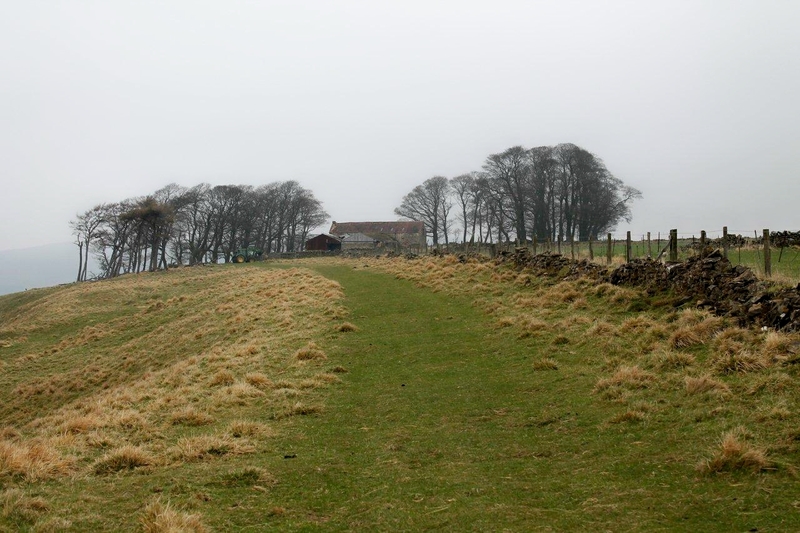 I walked through it when I did the Cleveland Way. 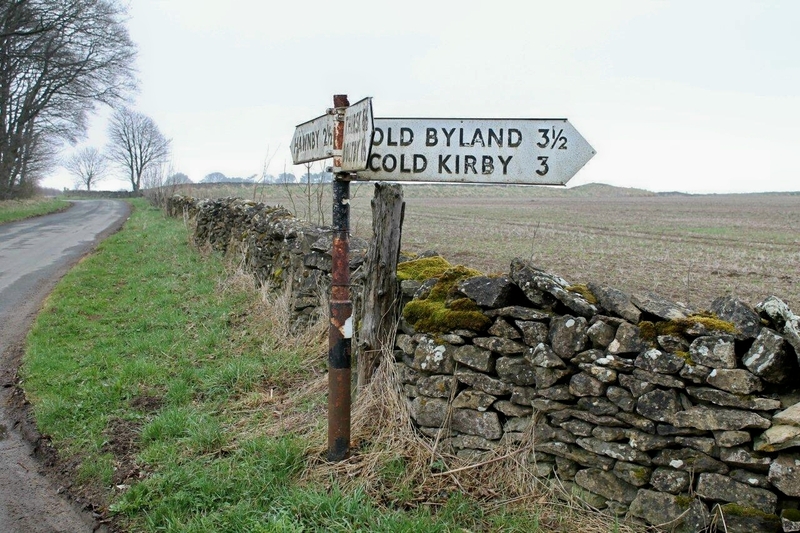 I plan to walk round that way next time and down to Byland Abbey. I saw the fairy parlour cave on the map when I was writing up this piece but must have walked past it on the day. In fact there is quite a lot of ancient stuff on the map that I missed. This is an interesting area Alen. I bet it is hard to make progress with all those tumulus, caves and views take in. 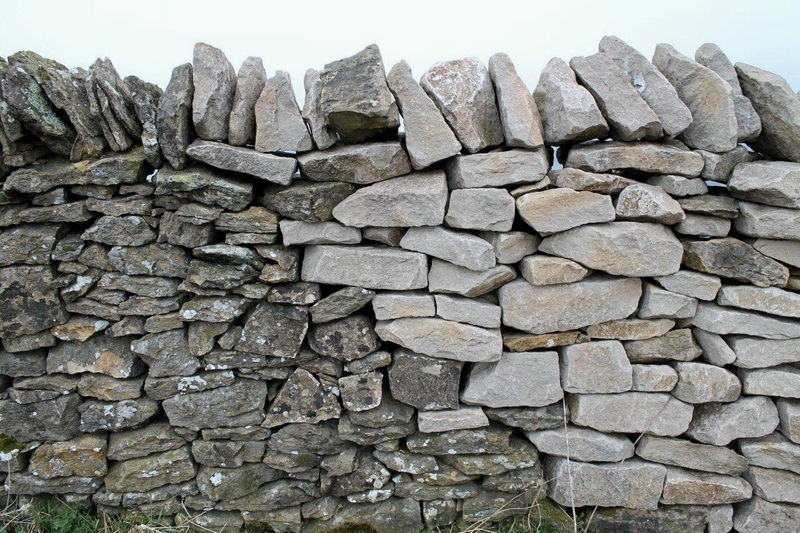 Like hedge laying, walling seems to have seen a bit of a renaissance over the last few years. I wonder how many years will pass before the lichens spread and you cannot see the difference between old and new. Hi David. This might surprise you but I’m a big fan of hedge laying and have done several over the years. 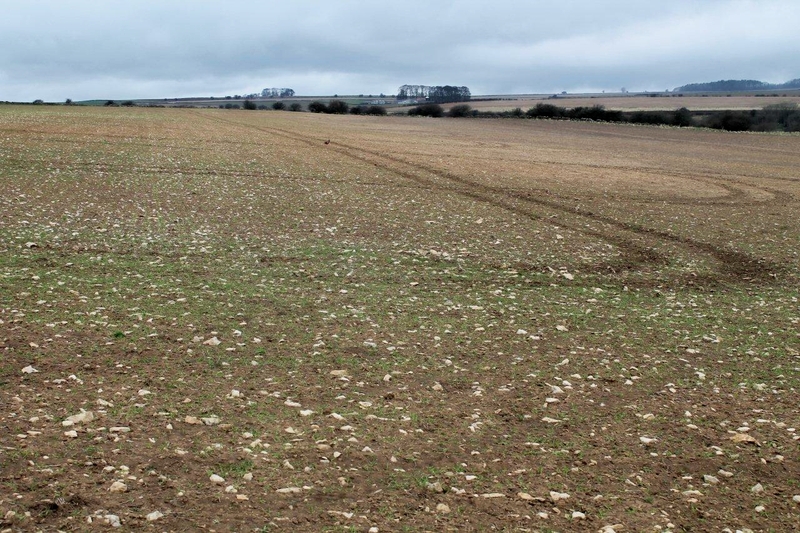 My interest came about when I worked as a rock driller on the top of Stainton Quarry, near Barrow, and watched two farmers spend several days laying a hawthorn dyke. I thought: I’d like to do that. So I’ve had a few goes and it’s a very pleasant way to spend several days in the depths of winter. You get scratched to hell, mind. The walling is interesting. I was thinking the same thing. If I’m still agile in 30 years’ time I should go back and record how the elements and lichen have affected the new stone. Hi Tony. As an old potholer I’ve heard of dye being used as well – but never planks. There must be a story there. The second picture looks so much like Mount Lamentation in my hometown back in Connecticut it took me by surprise, or maybe not. Both areas have seen lots of glacial activity I suppose. I was fortunate growing up there with lots of trails to hike on the ‘hills’ that surrounded the town of Meriden. Another similarity was Black Pond at the base of one of those hills – reportedly it was bottomless, although I know of no witches or geese swallowed there most of us avoided swimming in the cold dark pond. Hi Dohn. I did a Google image search on Mount Lamentation and Black Pond and I see what you mean. There are distinct similarities. I would imagine that nearly every community that lives near a body of water has its “bottomless” lake woven into the local mythology. My father was brought up in the Scottish borders and when we were children he took my brother and myself to see the Black Loch, which he insisted was bottomless. It had an island in the middle and I couldn’t work out that if it was bottomless, what was holding up the island? Alen, in the old days islands could float and I’m told that some could fly through the air. 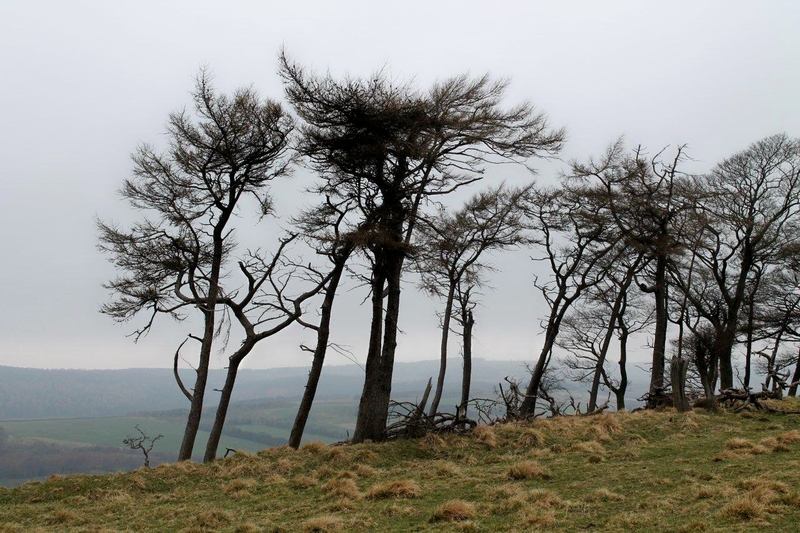 Our town of Meriden was surrounded by what were called ‘the hanging hills’. As a teenager (and older) I climbed around the trails on all of them. I was lucky to have the space and it kept me out of trouble or from becoming a hooligan, amongst other things. I’m glad you didn’t become a hooligan, Dohn. The world would have become a poorer place. Now you mention the floating islands I’ve heard of them in folk tales. Strange how people’s minds worked in those days. 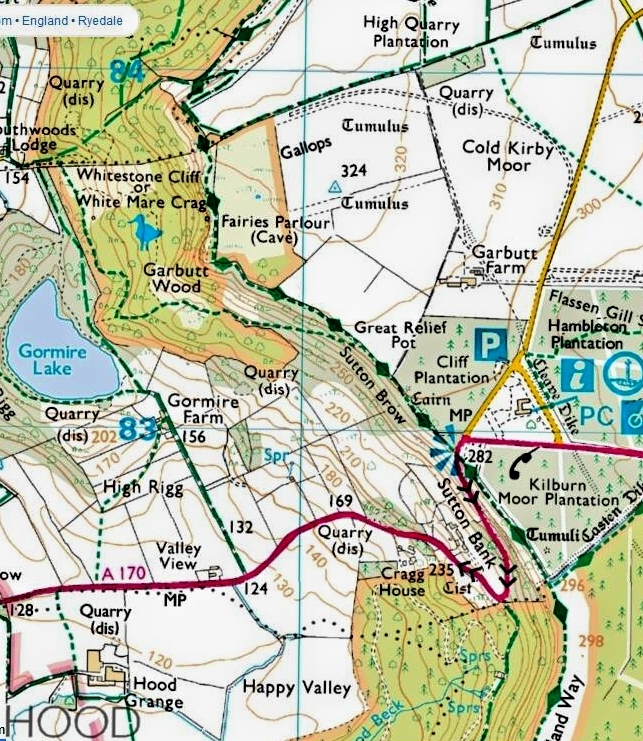 That Gormire Lake sounds interesting! I think I’ve been to all those legendary places but, although I’ve driven up Sutton Bank, I’ve never got out and walked there I have to admit. Sounds nasty your car jumping out of gear like that – that would terrify me up a steep hill! It’s easy enough making holes for fence-posts in the very wet weather we’re having as the ground is so soft – neither easy nor satisfying in drier weather though. Ho Carol. My first car was an 800CC Mini and you had to hold the gear stick when it was in second or it would jump out. This one’s a Suzuki Ignis, and it only jumps out occasionally – but never when you’re expecting it. 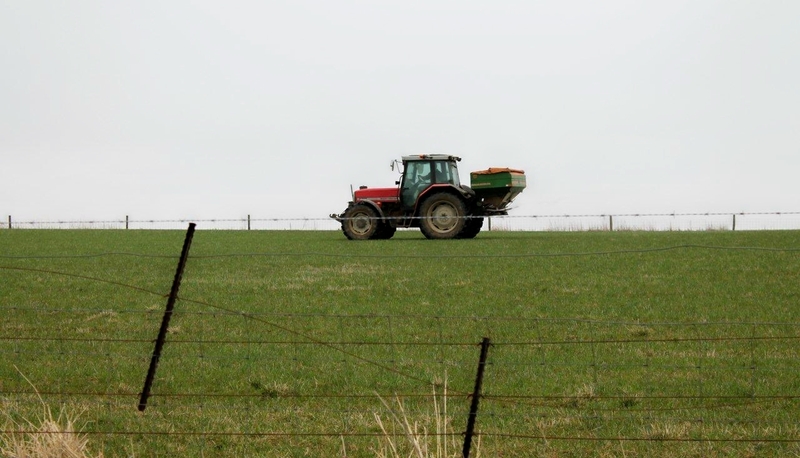 On fence post holes, I was considering offering to give the farmer – who was not young in years – a hand, but when I said “ow do” he just grumbled a barely audible reply. So I continued on way. The guy in the tractor spreading fertiliser, though, gave me a smile and a cheery wave.